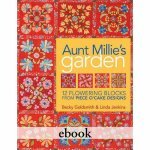 Even though this book is out of print, you are in luck because it is still available as an ebook! 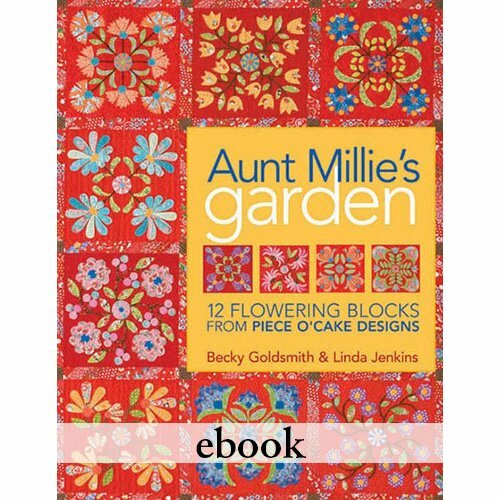 Aunt Millie's Garden, a quilt inspired by Linda's Aunt Millie, makes a dramatic color statement with 12 floral blocks and appliquéd borders. NOTE: I've made an additional instruction page to show the easiest way to applique the wheels in the block centers. Click here to access it.